A bronze statue of Karl Marx (1818-83) gifted by China was unveiled in his hometown of Trier, Germany, on May 5 to mark his 200th birthday. 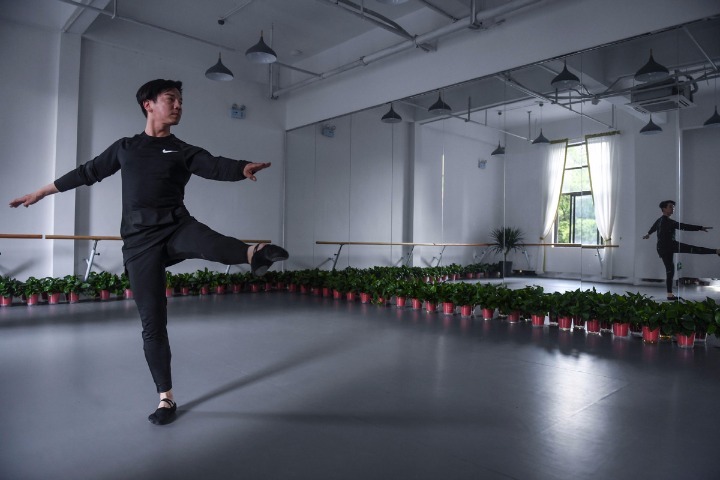 The sculpture was created by Chinese artist Wu Weishan who is also the director of National Art Museum of China in Beijing. On the same day, China Post released a set of two stamps, one of which features the image of the sculpture. 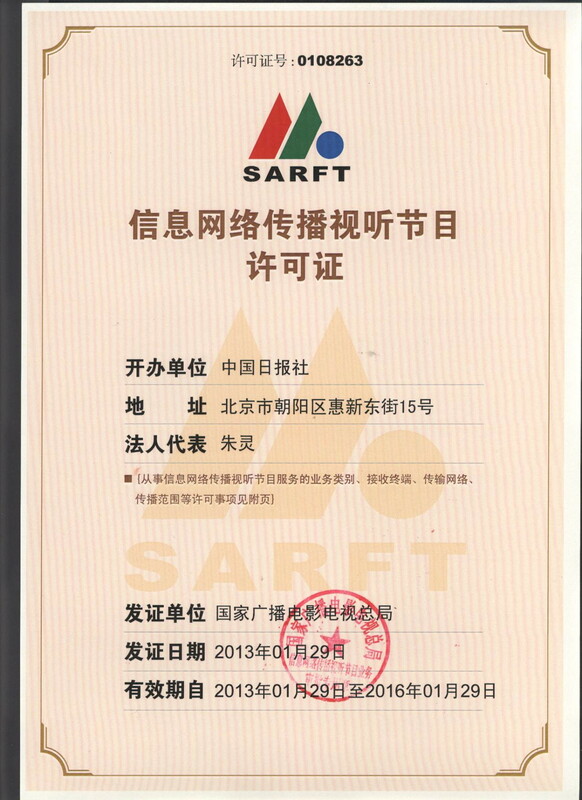 On the stamp, with a face price of 1.2 yuan (19 cents), the statue is set against a drawing of Marx's former residence in Trier. 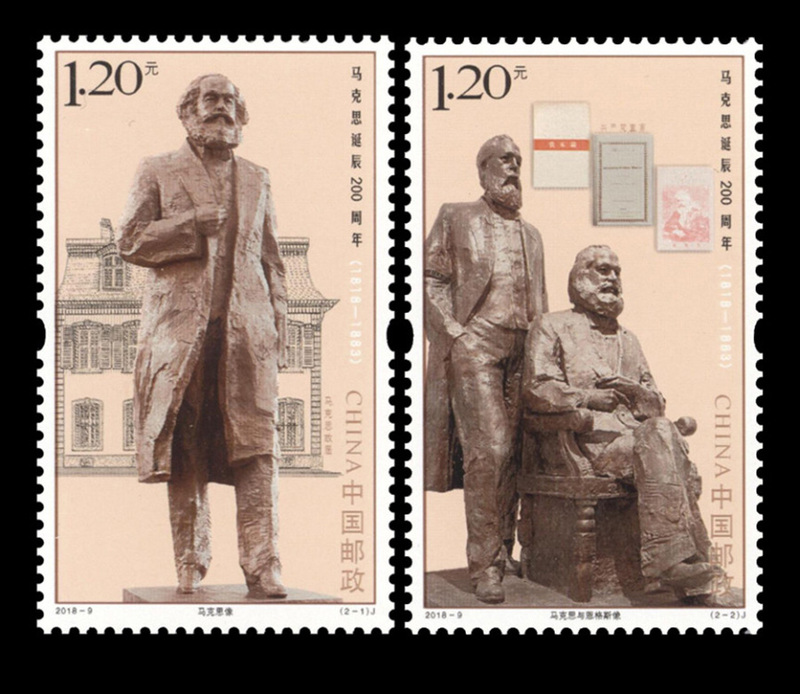 The other stamp of this commemorative set shows two bronze statues of a seated Marx and behind him, a standing Friedrich Engels (1820-95), both created by Wu; and in the background there are covers of Marx's best known titles: the German and Chinese versions of The Communist Manifesto and a Chinese version of Capital.